Samuels has inspired several works of fiction but his own story is hard to beat for excitement. Buy a copy now. 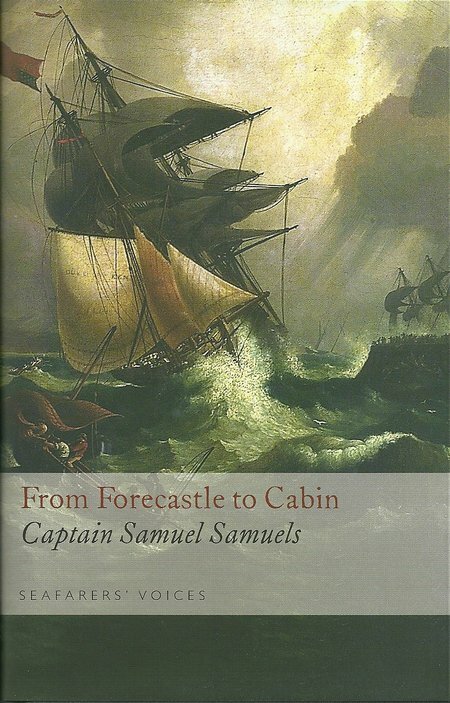 DESCRIPTION: In a risk adverse age, the story of Captain Samuels in his own words describes another world. As a boy seaman at the age of eleven, he entered the very hard life of a sailor in the early Nineteenth Century. By 1850, he was commanding the very fast Atlantic packet Dreadnaught which had been designed for him on clipper lines. The packet ship was primarily used to deliver mail and high value cargoes at the greatest speed and Dreadnaught was in a class of its own, known as “The Wild Boat of the Atlantic”. His was an action packed life full of risk and adventure. Abridged and edited by Vincent McInerney, the authentic voice of the author remains and tells an absorbing story with all of the highs and lows of a life at sea in the days of sail. This is one of those books that has to be read. It covers a complete slice of life in the early Nineteenth Century during the British dash for Empire when the ascendancy of Britain on the world map depended on captains like Samuels, where piracy and famine and war added to the trials of storm and tempest. Samuels has inspired several works of fiction but his own story is hard to beat for excitement. Buy a copy now.